Diversification: What Is It Good For? The investing world can be a complicated place. There are two main approaches to portfolio management when it comes to concentration. The first approach is broad diversification, favoured by value investors such as Benjamin Graham (Graham’s advice of having a well-diversified portfolio of 30 or more deep value stocks) and more recently Noble Prize winning economist Harry Markowitz in his Modern Portfolio Theory, and Dr John Lintner, both of whom strongly advocated diversification. On the other hand, there’s the highly concentrated approach favoured (and popularised) by the likes of Warren Buffett. Both strategies have their advantages. For most investors, the majority of their portfolio’s returns will come from one or two critical investments (for both Benjamin Graham and Warren Buffett GEICO was the one investment that immortalised their position in the investment world). It’s impossible to pick these winners at first glance (most investors don’t have the time or experience) that’s why it’s so key to let your winners run cut losers. Unfortunately, the hard data shows that most investors are chasing an illusion by looking for these home run stocks. 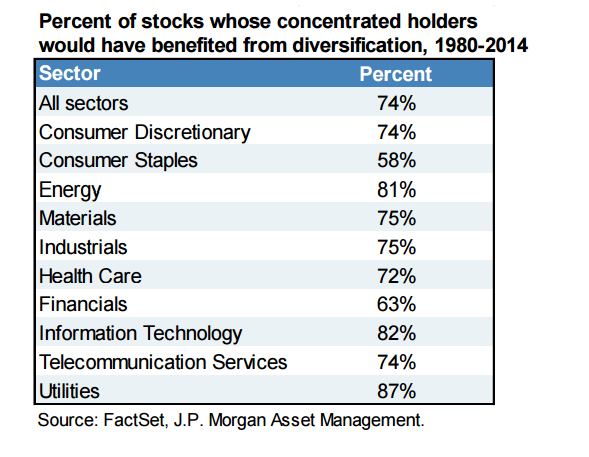 According to a recent report by JP Morgan, 75% of all concentrated investors would benefit from diversification. According to the report, titled “The Agony & Ecstasy: The Risks And Rewards Of A Concentrated Stock Position.” The return on the median stock since its inception vs. an investment in the Russell 3000 Index is -54%. Two-thirds of all stocks underperformed vs. the Russell 3000 Index over the period studied and 40% of all stocks delivered negative absolute returns. Furthermore, the report highlights that since 1980, 320 companies were deleted from the S&P 500 due to “distress” reasons. So, during the past three-and-a-half decades, 64% of the index has been turned over. To put it another way, if you piled into just one S&P 500 stock 30 years ago, there’s a one in three chance that particular equity would still be in the S&P 500 today. But don’t despair there are some winners to be found out there — the odds are just stacked against you when it comes to finding them. 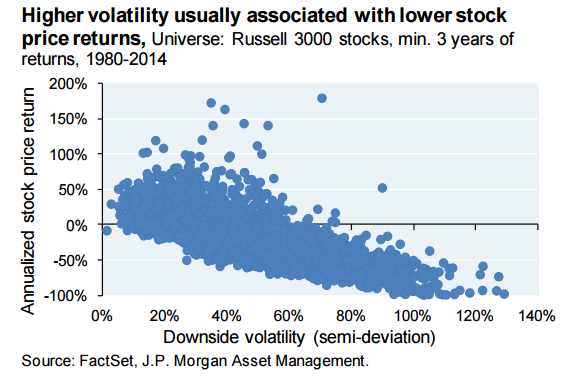 JP Morgan calculates that the chance of actually finding an extreme winner is just 7% (generated lifetime excess returns more than two standard deviations from the mean). In comparison, since the 1980s 40% of all companies experienced a severe loss and never recovered. According to these figures, for most people, trying to be clever and running a highly concentrated portfolio will likely end in disaster. If you think the odds of becoming a successful investor are stacked against you, it’s because they are.